We've driven the go-faster Range Rover SVAutobiography Dynamic from Land Rover's Special Vehicles Operations. Land Rover's updated Range Rover line-up gets a new range-topper in the guise of the oddly named SVAutobiography Dynamic. That Dynamic bit highlights the presence of some chassis changes, while the 550hp supercharged V8 engine powering it is borrowed from the bonkers Range Rover Sport SVR. Introduced in 2012, the Range Rover has still got presence and class like no other. It is immediately recognisable, oozes sophistication and, despite having been with us for a while now still looks utterly fresh. The SVAutobiography Dynamic revisions include a few visual identifiers, such as unique side vents, some 'bumper accents', badging and four sizeable tailpipes slung out back. It sits some 8mm lower (though you'd need your ruler to hand to really notice that) on standard 21-inch wheels (or more likely the 22-inch optional ones), behind which sit some fairly sizeable Brembo brake callipers. Changes inside are similarly subtle, and it's none the worse for that, as the Range Rover's cabin was already an opulent, classy driving environment. SVO additions include some quilted leather and different knurled finishing on some of the metal trim around elements like the rotary automatic transmission gear selector and start button, as well as a red stripe through the Grand Black Veneer. Being an SVO car the standard specification is merely a starting point, as there's personalisation a plenty; only your imagination (and, unlikely if you're actually seriously considering buying one) budget are the limiting factors. At odds with the otherwise classy restraint are the red anodised paddle shifters, which look like they've come out of a mountain bike accessory catalogue circa 1990. Ignore those, or have the SVO people change them for something a bit more in keeping, and there's a lot to love inside the big Range Rover. The infotainment, typically for a Land Rover, promises much, but lacks the sort of ease of use of its rivals' systems, but you'll quickly learn its quirks and there's always the rich sound from the 550hp 5.0-litre supercharged V8 if you can't be bothered to. The SVAutobiography Dynamic might pinch its engine from the rather boisterous Range Rover Sport SVR, but it's not quite the madcap machine of its smaller relation. There's 40hp more than a conventional supercharged Range Rover, but while the 550hp output doesn't mean a faster 0-100km/h time (it stays at 5.4 seconds), it does improve response and brings greater voice. In keeping with its new Range Rover situation that V8 is not quite the crackly and loud beast it can be; sensibly it's toned down a bit in that regard. It's still vocal, but it's an accompaniment, rather than dominant, and it brings serious pace to the Range Rover, while working beautifully with the eight-speed automatic transmission. That performance is better exploited by a chassis that's seen plenty of revisions to make it worthy of the Dynamic badge. There's Dynamic Response and Adaptive Dynamics to reduce body roll by monitoring both axles and adjusting accordingly, for starters. The Dynamic sits lower on revised knuckles and suspension links, while the springs and dampers are also uniquely calibrated to sharpen response. There's a steering rack borrowed from the Sport SVR, too, and the effect is a Range Rover that's notably more agile, with better body control and quicker, more incisive steering in the bends. 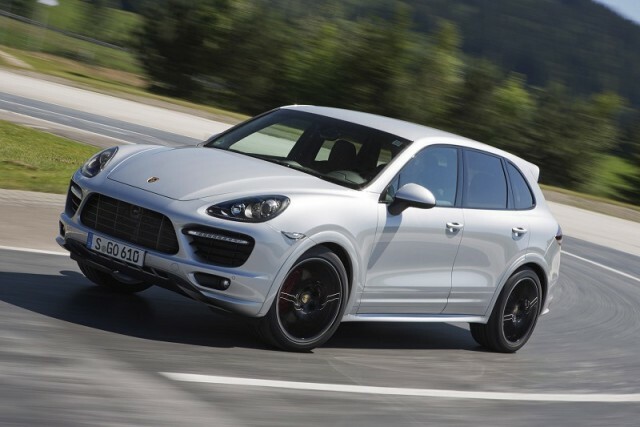 That's all relative though, as the Range Rover is still vast and heavy, and more 'Dynamic' or not it'd quickly run out of ideas if it were asked to follow a Porsche Cayenne Turbo S or BMW X6 M in a hurry down a challenging road. Flipside is they'll give up long before the Range Rover's breaking a sweat when off-road. A nimbler Range Rover then, but it's like putting running shoes on an elephant, and the biggest trade off is a more unsettled ride, as the Range Rover SVAutobiography Dynamic lacks the suppleness of its less determined-in-the-corners relatives. Whether that's for you depends on your expectations, but we can't help but feel that a bit of softness and comfort is more appealing more of the time in the Range Rover than the busy ride the Dynamic version brings. It might mean you're a bit slower in the bends, but you're unlikely to care. At this price level talking money is just plain dirty; if you're after an SVAutobiography Dynamic then you'll simply not care. The SVO cars are arguably a response to the space that Bentley has opened up for super-luxury 4x4s where money's no issue. Land Rover is sensibly eager to offer customers products here, and with the sort of personalisation options they'll appreciate. Expect all examples of the SVAutobiography Dynamic to be loaded with an extensive list of options then, though for mere financial mortals it's difficult to comprehend that going for the 'standard' 510hp Supercharged V8 Autobiography model, without the SVO department's fettling and dynamic bits and pieces, saves you just shy of €100,000. And, yes, you read that right. Land Rover's Range Rover has always been the default choice for the super rich wanting a big, comfortable luxury SUV. With Bentley now in the marketplace - and Rolls-Royce about to follow - that dominance is no longer so clear cut. The SVAutobiography Dynamic is a response to that, though we'd leave out the Dynamic changes as the improvements they bring in sharpness are detrimental to the Range Rover's outright comfort. 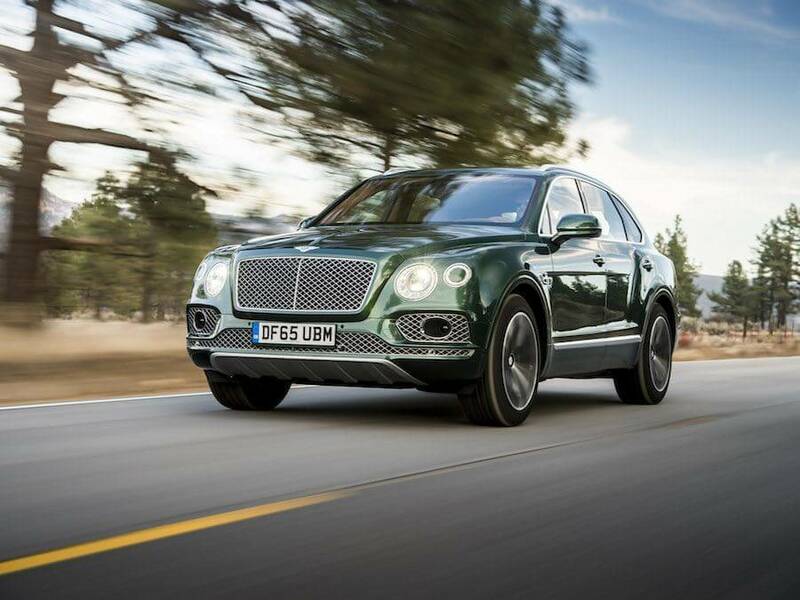 Bentley Bentayga vs. Range Rover SVAutobiography Dynamic: not pretty, but fast, hugely capable and all Bentley. It's glorious inside and offers the sort of luxury and personalisation that people in this marketplace demand. 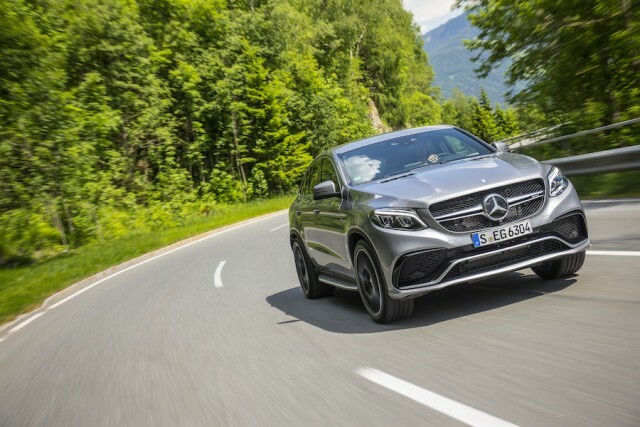 Mercedes-AMG GLE 63 vs. Range Rover SVAutobiography Dynamic: the GLS 63 is probably closer in reality, but the more compact GLE makes more sense (all things being relative) to the Irish market. Porsche Cayenne Turbo vs. Range Rover SVAutobiography Dynamic: an SUV with the heart of a track car, it's bonkers fast and massively capable. It's the driving benchmark, though is no Range Rover when it comes to aristocratic breeding.